Litchfield Park, Arizona is approximately 2 miles north of I-10, 16 miles to the west of Phoenix, in Maricopa County. Initially an agricultural area, it is one of the oldest suburbs of Phoenix with the first land claims being filed in 1910. In 1916 Paul W. Litchfield was sent by Goodyear Tire and Rubber Company to purchase land to grow cotton for making rubber. Loving the area, Litchfield and his wife made their ranch the headquarters for the Southwest Cotton Company and built a winter estate overlooking the company townsite. As the company town, it was named Litchfield Park in 1926 and incorporated in 1987. Now some 5,800 people call Litchfield Park home. Litchfield Park claims to have the most extensive collection of exotic animals in Arizona. The Wildlife World Zoo & Aquarium has over 600 species. The most recent addition to the Zoo is the Aquarium, which includes many examples of sea life. This affluent community is also home to The Wigwam resort. Here you’ll find three 18-hole courses, eight concrete tennis courts, and an outdoor pool. The Wigwam also hosts a variety of live community events on their lawn throughout the year. History lovers will appreciate the Litchfield Park Historical Society Museum, located at what is known as “Aunt Mary’s House,” a part of the estate built by Litchfield. With over 4,000 museum-quality exhibits of photos, logs, letters, and other memorabilia, as well as some 175 oral-history interviews, it is a good representation of a long-ago time. It was opened in 2012 and was certified with the Arizona Historical Society in 2014 and 2015. 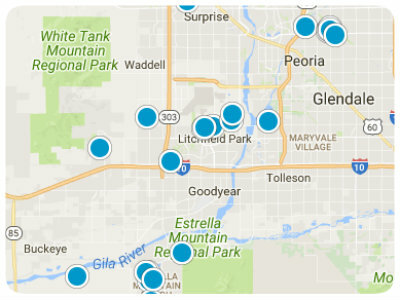 Litchfield Park real estate is varied enough the residents claim there are no two homes alike. Some of these are custom homes built long ago, that still hold appeal. There are newer homes in Litchfield Park as well as townhouses along lovely streets lined with trees. The yards are well maintained, and there is a family-friendly feel to the place. People often walk along the streets and pause to visit with friends. 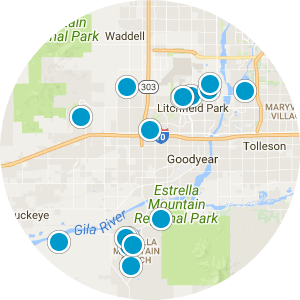 There are local stores for immediate needs, and nearby Phoenix and other communities for additional amenities. 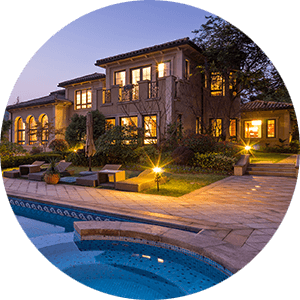 These lovely homes and beautiful surroundings make this a must-see destination for home buyers in the Phoenix area. 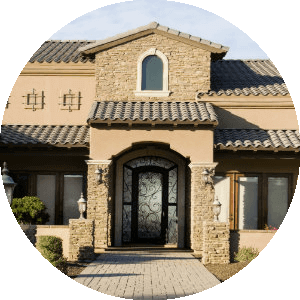 If you would like more information on homes for sale in Litchfield, Arizona, please contact us today and allow us to assist you.